WASHINGTON — Those who planned the secret mission to get Osama bin Laden in Pakistan knew it was a one-shot deal, and it nearly went terribly wrong. The U.S. deliberately hid the operation from Pakistan, and predicted that national outrage over the breach of Pakistani sovereignty would make it impossible to try again if the raid on bin Laden’s suspected redoubt came up dry. This entry was posted in History, International Relations, Military, News, War and tagged Al Qaeda, History, International Relations, Military, Navy SEALs, News, Osama bin Laden, Terrorism, terrorist, War on May 17, 2011 by Bill. I also believe in self defense. In the case of Bin Laden, it’s hard to imagine that he could rightfully complain that he was killed without just cause. Anyone who preaches death to others (who are innocent of offense) and puts it into practice has no standing to object when that practice is used against them. I think in cases like this, we should have a “death warrant” that could be issued, after a suspect is declared guilty. At least that gives it some semblance of legality. “Wanted – Dead or Alive”. What is, is. There’s nothing I can do about it. I’m inclined toward non-violence, with the understanding that your right to swing your fist ends a couple of feet from my nose. Even the Buddha allowed as how self-defense was necessary when other avenues had been exhausted. As regards this issue, I’m glad it was carried out by experts who were able to minimize the loss of life. 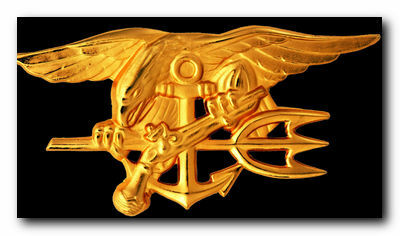 I have great regard for the SEALs precisely because they are that kind of warrior. My problem with the current world situation is simply that the other avenues, in most cases, haven’t been explored. How do you feel about operations like this? I assume your life philosophy is non-aggressive. Mine is too, but I can still justify it if I follow certain logical steps. That still doesn’t help entirely.